At Ribbon Cutting, of Bahamas Consulate General Miami, Bahamian Prime Minister ask for help in identifying Bahamians abroad who could be developed as the top and the best in the country. Prime Minister of The Bahamas The Honourable, Hubert Minnis receives regards from Alexis Snyder (Chief of Staff) representing U.S. Congresswoman Frederica Wilson. L-R Bahamas Deputy Consul General, Miami, Sandra Carey; Ms. Snyder and Prime Minister Minnis. FORT LAUDERDALE, FL - June 22, 2018 – The Right Honourable, Hubert Minnis, Prime Minister of The Commonwealth of The Bahamas, at the recent official ribbon cutting of his country's foreign mission in South Florida, shared that his administration has a 10 year plan to identify Bahamians both home and abroad who could be developed as the future leaders of the country. The Prime Minister was providing remarks at the ribbon cutting and official opening of the new location of The Bahamas Consulate General Office, Miami, Florida, which recently moved from its former long term location in the Ingraham building, to its new address at 100 N. Biscayne. An impressive selection of the Bahamian diaspora of South Florida was in attendance at the event, and the Prime Minister - who shared that recently it was decided to start a system where they would look within the various government ministries to identify their needs - asked for help in identifying Bahamian students and other Bahamians who could be given jobs in those areas of need. 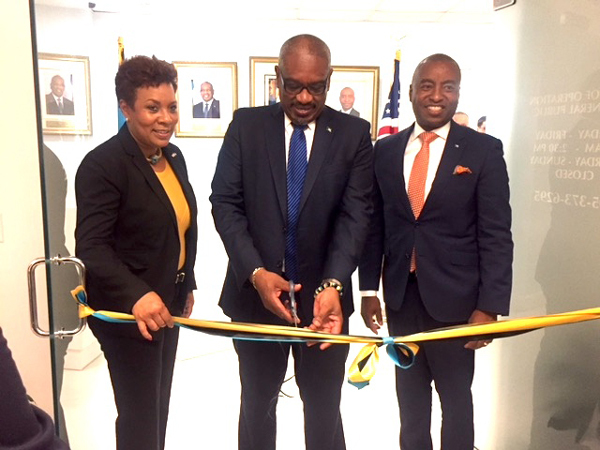 Bahamas Prime Minister, the Honourable Hubert Minnis, at center cuts the ribbon officially opening the new location of the Bahamas Consulate General Miami. Right of the PM is Minister of Foreign Affairs, The Honourable, Darren Henfield and to his left, Bahamas Consul General Miami, Mrs. Linda Mackey. 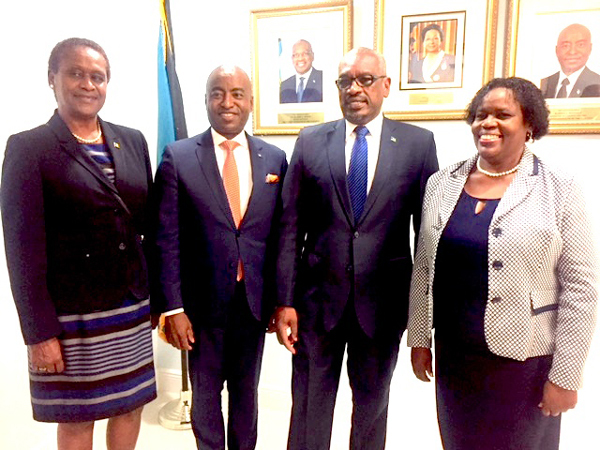 The Prime Minister said that persons identified from abroad and from the University of The Bahamas, to meet those needs would be automatically offered a one-year contract to work for the government in those areas identified by the administration. Following the one year, he said that Ivy League Colleges and other top Colleges will be identified to send these persons to, so that they could complete a Master's Degree or whatever is necessary and at the full expense of the Bahamas government. He continued that on completion of the studies, the individuals would be expected to return to The Bahamas to assist in the building of the country. 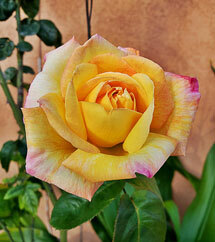 Such individuals, he said, will be placed in top positions in the various government sectors. The Prime Minister said that at the end of the intended 10-year plan/goal, those who had participated would be identified as the best in The Bahamas and they would be at the top and the future leaders of The Bahamas. He told those in attendances that when they identified persons who might be considered for the program to "tell them that there is a job waiting for them in The Bahamas." He also made it clear that those taking part in the program would not be paid "peanuts" but would be paid a good salary. Bahamas Prime Minister, the Honourable Hubert Minnis at opening of new location of Bahamas Consulate General S. Florida, with members of South Florida's diplomatic corps. 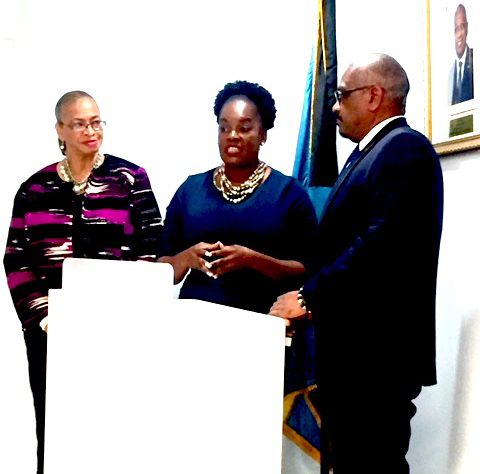 L-R Gaile Thompson, Deputy Consul General of Barbados; Bahamas Minister of Foreign Affairs, the Honourable, Darren Henfield; Prime Minister Minnis and Cecile Christie, Deputy Consul General of Jamaica. 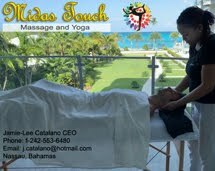 The Bahamas Consulate Genera's Office was established in the South Florida area, many decades ago, and at its new location will continue its mission to those needing the services, including both non-Bahamians who might be seeking visas to visit the country as well as Bahamians that might need passport services. Welcoming all to the new office was the Bahamas Consul General, Mrs. Linda Mackey. Also, as the Consulate comes under the portfolio of the Bahamas Ministry of Foreign Affairs, The Honourable Minister, Darren Henfield, provided brief remarks. Those at the event included a diverse cross section of South Florida government officials, and representatives from major companies and organizations. Members of the Diplomatic Corps of South Florida, in attendance included the Deputy Consul Generals of Jamaica, Barbados and Germany as well as other foreign missions. Bahamian influencers in attendance included representations from the ecumenical body of South Florida clergymen and Bahamian businesspersons from all walks of life. 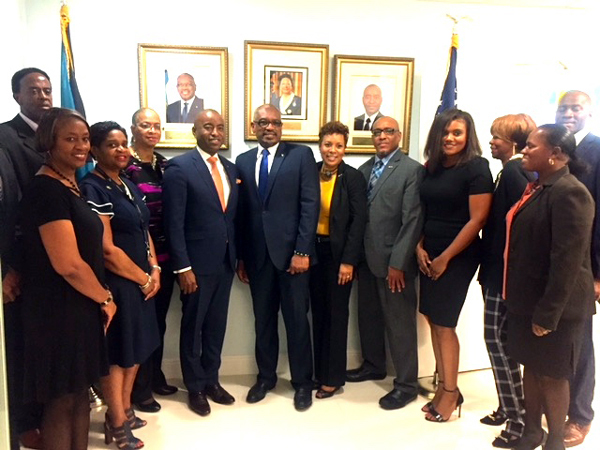 At center, Bahamas Prime Minister, the Honourable Hubert Minnis at opening of new location of Bahamas Consulate General Miami, with members of the staff of The Bahamas Consulate General, Miami and to his left, The Bahamas Minister of Foreign Affairs, the Honourable Darren Henfield. Frederica Wilson, United States Congresswoman of Bahamian descent, sent her regards to the Prime Minister and expressed thanks to the Bahamas for the contributions that its people have made to South Florida over the years, especially as the pioneers of the Coconut Grove, Miami area. Alexis Snyder, Chief of Staff for Congresswoman Wilson, presented a gift to The Prime Minister on behalf of the congresswoman. She advised that the cufflinks presented were congressional cufflinks with a U.S. Seal and the signature of congresswoman Wilson, who said she wanted the Prime Minister to always wear them and note that the insignias were to remind him that he has a comrade in the U.S. who is a fighter and voice for the Bahamian diaspora in this country.